These are the end caps used in the Kaleidoscope series of beaded kumihimo necklaces. 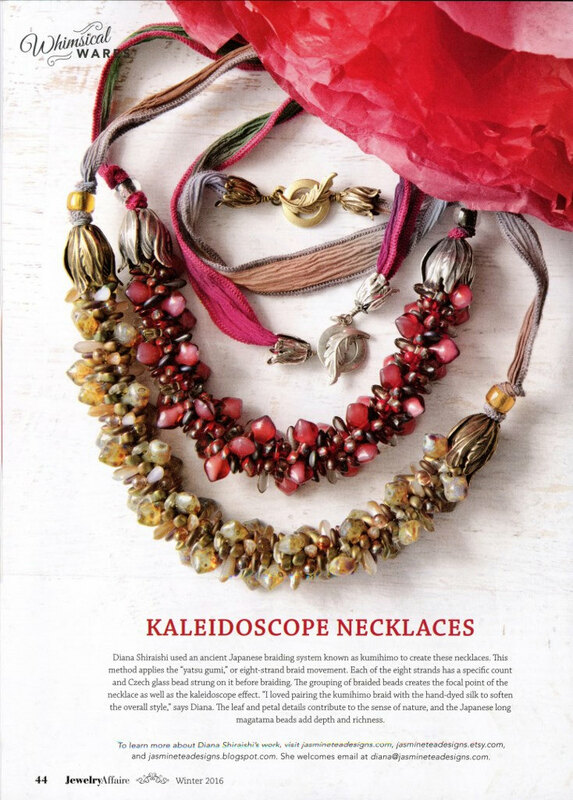 Two of which were featured in the Winter 2016 issue of Jewelry Affaire. Cherries Jubilee and Kaleidoscope Eyes. Blooming tulip end caps feature a vintage patina finish in antique brass and measure 11x9mm. These are the petite size. 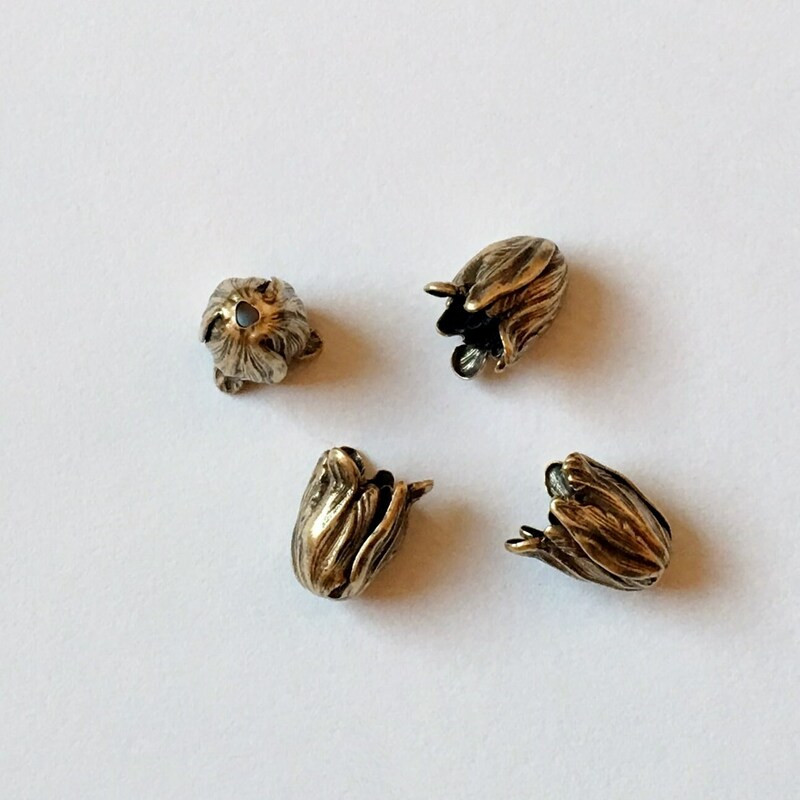 This listing is for a 2 piece set of blooming tulip end caps. Made in the USA and lead and nickel free.